Grey agate and saint medallion earrings. 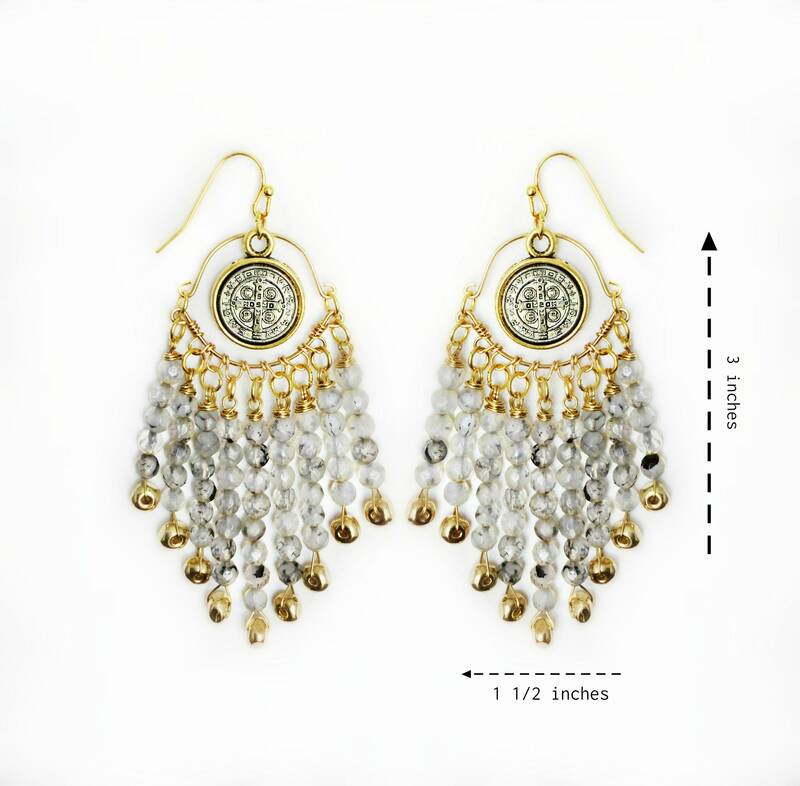 These earrings are 3 inches in length and 1 1/2 in width. They are a perfect gift as well as an everyday earring. These earrings are perfect to wear for all seasons.